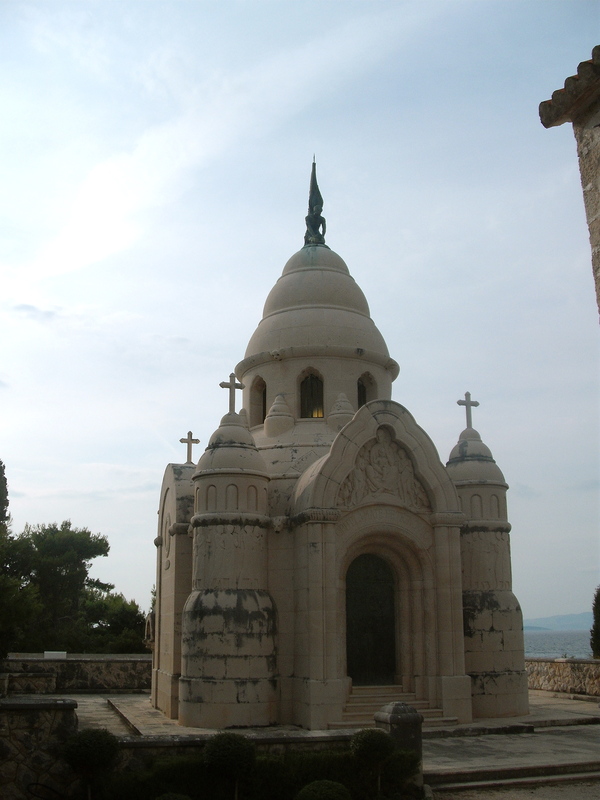 This week’s photo is the imposing Petrinovič family mausoleum in Supetar on the island of Brac (one of Croatia’s beautiful islands off the Dalmatian coast). The whole graveyard was immaculately maintained and family plots are obviously highly treasured. Francisco Petrinovič was a local shipowner who made his fortune in the trade. The design by artist Toma Rosandic was obviously intended to impress upon everyone else just how moneyed the Petrinovič family was. Thank you for commenting Colleen 🙂 Croatia really is beautiful, I want to go back and explore more corners of it some day.